The Prince Al Waleed Ibn Talal was putted in the past, to the series of rumors, which says : that he owned a precious Mercedes Benz Car encrusted of diamonds which costs between 3 $ to 5 $ millions. This rumor has caught dramatically on with some media in the Middle East, which make the Prince Al Waleed Ibn Talal in awkward position about the source of his wealth. 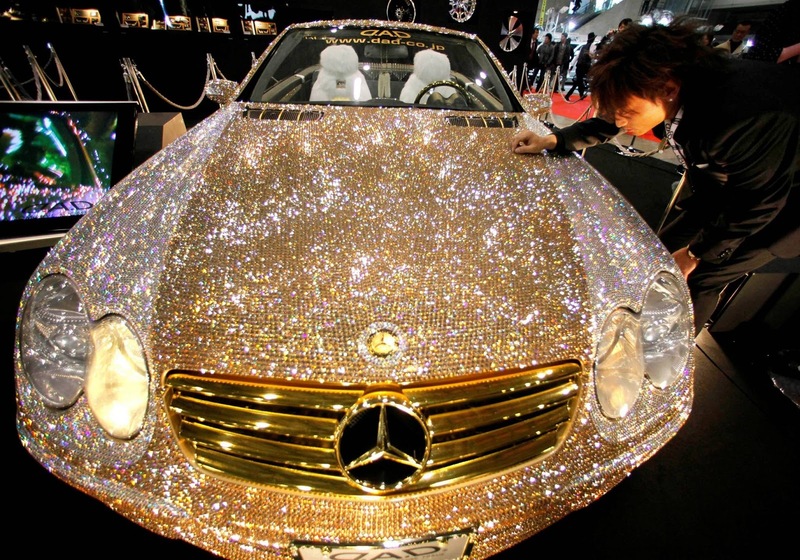 By 2015, the search engines achieved a great success, by making the images of the Prince related to the precious Mercedes Benz Car SL 600 adorned with 300,000 Swarovski crystals, and since then , this myth become the attraction of many people in urban areas, moreover it was spread that he would charge people $1,000 just to touch it..
"The Private office of Prince Alwaleed Bin Talal would like to state officially that HRH Prince Alwaleed does not, and never has, owned or had any association with a 'diamond-encrusted Mercedes-Benz'" . ''The answers of this questions, people must contact Garson D.A.D the responsible company of displaying a crystal encrusted Mercedes-Benz’’. According to Al Waleed Private office, and the kingdom holding, and the investment firm, they assured and issued that this car doesn't belong the prince, and the Prince has confirmed by himself that he has nothing to do with this latter.